The rains canceled today’s Coin Drop ’62’s performance at AichiVision, and we hope that Typhoon 16 will pull up some warm and sunny weather when it passes through later in the week. 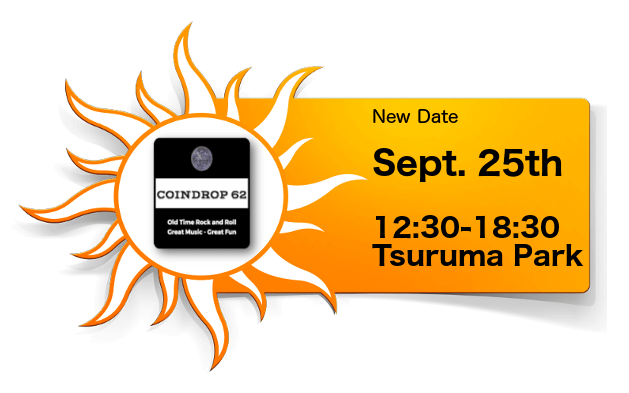 So, please come out and rock with us at Tsuruma Park in Nagoya City on next Sunday, Sept. 25th. Brian Cullen will belt out his tunes from the upcoming musical Jukebox Paradise. Get your advanced price tickets today.